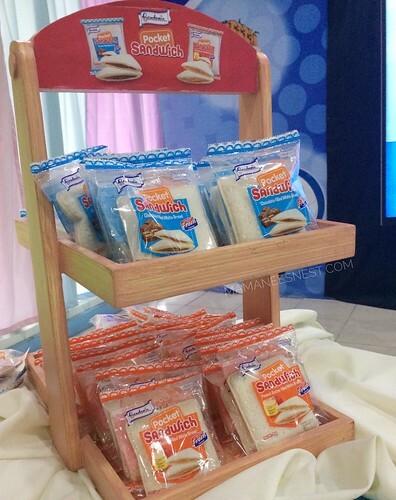 Gardenia Pocket Sandwich: Your Quick Baon Answer For the Busy Mom! Moms nowadays are so busy by looking after the kids and sometimes like me, still need to work. An empowered mom would know that Mom actually stands for "Master Of Making-things-work-out" - because every mom would always have a multi-tasking job but towards the end of the day the mom would always have the role of being: loving, caring and giving. This school year, time really flies fast - you wake up the kids, prepare breakfast, put it on the table, get them through their bath and the next thing you know time is up and they need to be out the door to school. Not only moms go through this but also the husband's at time, my husband is also one of them who helps to get our little lass ready for her school day. We both try to make a healthy nutritious baon for her but sometimes time just doesn't permit it. So the next thing we need is something quick but still healthy. Gardenia might have provided us a solution with a soft, freshly baked bread that is so great tasting and nutritious. 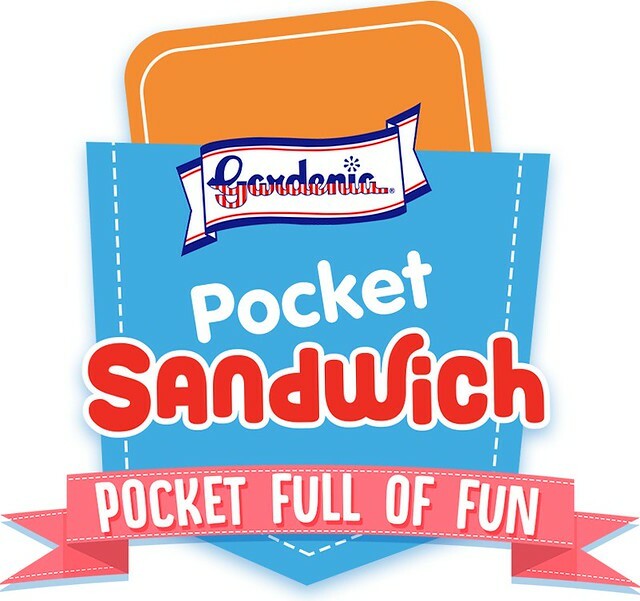 With a pocket full of fun and mother's love, the leading bread maker introduced it's newest product that kids will surely love - the Gardenia Pocket Sandwich. 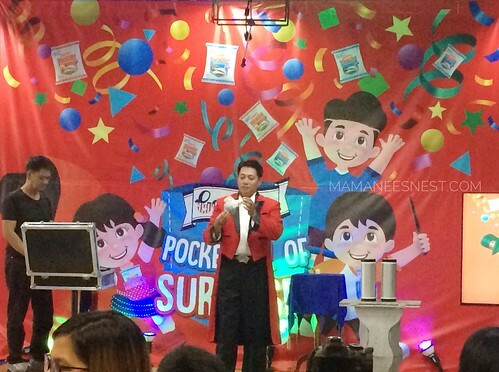 The little lass and I were invited to attend the #PocketFullofSurprises Blogger event to launch the Gardenia Pocket Sandwich where we were treated to a magic show, fun, games and Gardenia Snack Treats. Color Wheel fun with Gardenia! What is a Gardenia Pocket Sandwich you ask? It's two slices of soft and luscious white bread, no edges (perfect for my little lad because he doesn't like edges hehe), perfectly sealed which makes it less messy to eat. Guaranteed safe because it is made in a clean and sanitized environment by Gardenia. Less worry to prepare, Moms or Dads can pick up a Gardenia Pocket Sandwich on the go, easy to carry or place in their lunch boxes for their baon. High in Iron for normal formation of red blood cells and hemoglobin, Vitamn B1 that helps release energy from proteins, fats and carbohydrates and Vitamin A which is essential for the eyes Gardenia Pocket Sandwiches proves to be nutritious yet delicious with either a chocolate or peanut butter filling. 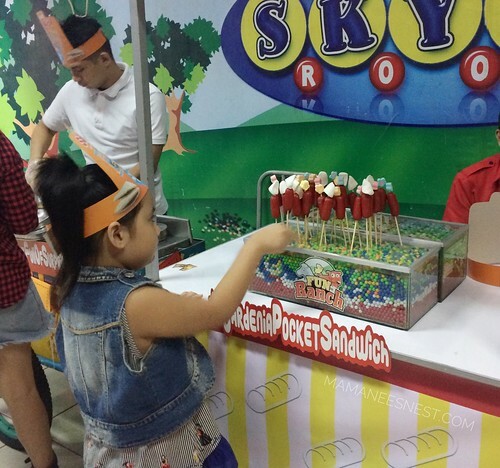 For only Php15.00 (SRP), convenience and nutrition are just a pocket full away! 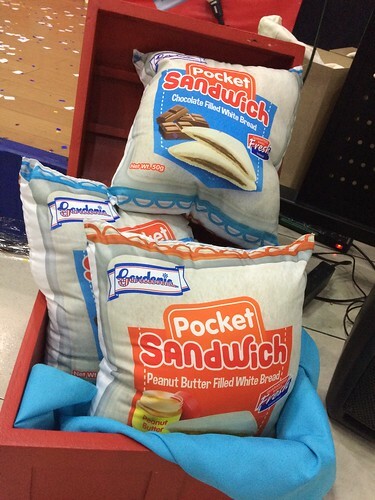 Gardenia Pocket Sandwich is available in Supermarkets and convenience stores near you. 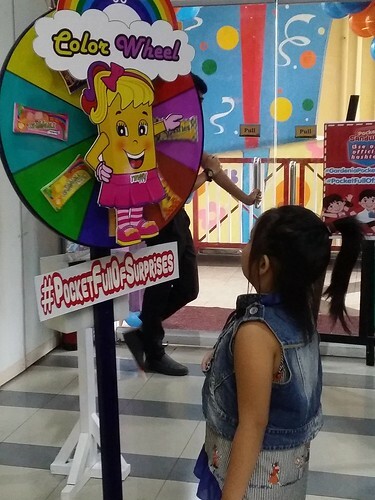 Thank you Gardenia Philippines and AMPR Publicity and Communications Inc. for letting my little lass and I bond at your wonderful surprising event! 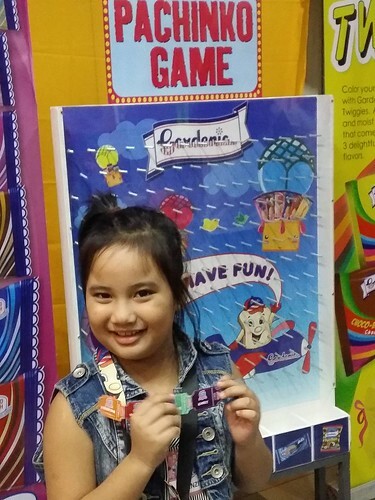 For more information and pocket full of fun, like Gardenia on Facebook at GSnack Treats or visit www.gardenia.com.ph. Uu, favorite ng kids ko is the chocolate flavor for the others naman si Peanut butter hehe. First naming natikman ang baon pack last year ng magfield trip ang anak ko sa Gardenia..
Nice! Hope you'll get to enjoy the Gardenia Pocket Sandwiches even more!